Relieved by the 5th Cameron Highlanders on the 16th, the Battalion marched to billets at Maroeil, where they stayed until moving on to huts in Bois-Les-Alleux on the 18th. On the 21st they relieved the 5th CMR in Brigade Support and then returned to the front line trenches, relieving the 1st CMR in the left sub-sector at Ecurie on the 29th. They stayed there until February 5th, when they left the front line for several days at Mont St. Eloi. Moved from St. Eloi to Houdain on the 11th, and then into billets at Burbure for an extended period of training and drill. On the 27th and 28th the Battalion placed first in a divisional competition in bombing and fifth place in bayonet fighting. Training over taped trenches opened March, with specialist training in bombing, Lewis gun, rifle grenade, sniping and bayonet fighting, with companies training in woods fighting and Battalion assault training on taped trenches. In this time there were more tape trench assaults, live bomb throwing by all bomb sections, a Brigade route march and then a prize presentation for the C.O. to the bombing squad, which won the divisional competition. Drill, bombing, woods fighting, Lewis gun, rifle grenade, physical training and bayonet fighting, continued until the 18th, when the Battalion set off and returned to the front line, relieving the 60th Canadian Infantry BN (9th Brigade) at Pylones. A mine was blown to the left of their front at 3am on the 23rd, but no effort was made by the enemy to occupy the crater. The Battalion remained in the front line until relieved by the 60th and the 52nd Canadian Infantry BNs on the 31st. Moving back to rest billets at Villers-au-Bois, final preparations were made for the attack on Vimy Ridge over practise trenches. The night of the 5th/6th saw them back in the same line, relieving companies of the 52nd and 60th BNs. On the night of the 6th, two parties went forward and cut the wire at "P" line and the following night between Albany, Devon and Vernon craters. The 8th saw preparations at the concentration points for the attack planned for 05:30 on the 9th. Within two hours of "the off", following supreme efforts, the 4th CMR had achieved its goals and had occupied the enemy front line and support trenches, having played a significant part in the taking of Vimy Ridge. The cost* had been one officer and 43 men killed, five officers and 131 men wounded. Further actions to push a patrol out to Petit Vimy on the 10th discovered a force of Germans with a machine gun still in the sunken road to La Folie Wood. This was bombarded as a result the following day. The 11th also saw the 4th CMR involved in actions to "dislodge the enemy" from a trench system on the reverse side of the Vimy Ridge slope. Working in open ground much of the way, action here saw them being shelled for four hours to the loss of one officer and 7 men killed, and 20 men wounded. Holding the line for 65 hours without blankets, great coats, or much in the way of any sleep, a very tired Battalion was relieved from extremely trying conditions by the 52nd and 60th BNs in the midst of a snowstorm on the night of the 11th. The Battalion trudged back to Neuville St. Vaast, into very poor accommodation at Dumbell Camp. Hard work was put in to improve the situation at Dumbell Camp, in relocating it to higher ground, before being moved on to bivouacs at Fort George on the 16th. Here they supplied 600 men working parties to rebuild roads around Le Follie Wood and for works under the town mayor in Neuville St. Vaast. On the night of the 18th/19th, the Battalion relieves the R.C.R. (Royal Canadian Regiment) in support around Pylones and continues salvage and road repair work. On the night of the 21st/22nd the Battalion relieves the 5th CMR on the Outpost Line on the Vimy line, NE of Vimy, in front of Acheville, Méricourt and Avion. Working patrols on the 22nd, the Battalion was ordered, on the 23rd, to advance its left flank line in cooperation with the 5th Division. Whilst the 4th CMR reached their objectives, the 5th Div. did not and the 4th CMR drew back under enemy counter-attack, which was broken up by prompt action of the 4th CMR machine gunners. The P.P.C.L.I and the 49th BN relieved the 4th CMR on the night of the 24th/25th, and they moved back to shelters at Fort George, then to billets in Villers-au-Bios for a few days of pay parades, drill, P.T., saluting, kit inspections, sports, Church parade and finally on the 30th, full Battalion parade. Moved back to shelters at Pylones on the 1st and relieved one Battalion of the 7th Canadian Infantry Brigade. Supplied 4 companies of working parties to the 3rd Canadian Railway Company on the 2nd, whilst the remainder continued salvaging wire and equipment and cleaned up camp through to the 6th. Then moved up to support at La Folie Ridge in relief of the 5th BN, taking 6 casualties in the process. Supplied working parties through to the 10th, when moved up to relieve 2 companies of the 1st CMR in the front line - under 4th CMR orders - and one company of the 2nd CMR in the support lines, in front of Méricourt. Patrols sent out on the night of the 11th could hear the enemy shouting and transport moving in Méricourt. A 30 aircraft dog fight was observed at 7pm on the 12th. The R.C.R. (Royal Canadian Regoment)relieved the Battalion after midnight into the 13th. At Villers Camp, Villers-au-Bois on the 13th, they settled in as Divisional Reserve, spending the time through to the 20th on training in extended order and physical and arms drill, interspersed with concerts and sports. Inter-brigade best platoon competition was won by 5th CMR, with 4th CMR's A platoon coming 2nd despite having now formal training in the new formation drills. A "Lewis gun was set up in suitable position in comp area for use against low flying hostile aircraft". On the 21st, the Battalion, remaining in Divisional Reserve, took over from the R.C.R. in support at Quarrie Site, bivouacing at Toronto Camp. Two Lewis guns were set up to defend against hostile aircraft. Working parties continued despite harassment from enemy aircraft through to the 27th. Of note, as detailed on Pte. McCabe's page, during a baseball game on the 26th, Pte. McCabe picked up a "blind" (unexploded) shell, which went off, killing him, 8 others and wounding a further 11. Battalion moved off from Quarrie Line on the 28th to relieve the 116th BN in Brigade Support and on the 29th resumed the supply of working patrols through to the 2nd of June, when it then relieved the 1st CMR on the front line in front of Méricourt. Working parties and reconnoitring continued on the front line, preparing jumping off points for a coming action. In the early hours of the 5th, an organised ambush of a 25 strong German patrol secured one unwounded German prisoner. Enemy gas shells were discharged on the left of the 4th CMR's line on the 6th. Work continued with jumping off points and protective patrols, repelling of enemy aircraft and scattering of enemy patrols through to the 9th, when the Battalion was relieved by the P.P.C.L.I., which was completed in the early hours of the 10th. The 4th CMR moved back to Winnipeg Camp in the Quarries area (still in the immediate area of Vimy Ridge), and supplied working parties to the 123rd Canadian Pioneers for cable burying duties on the 10th and 11th. The Battalion moved to Divisional huts at Villers-au-Bois on the 12th and underwent kit inspections and partook of much needed baths on the 13th. Drilling and "speciality training" on-going to the 18th, when the Battalion relieved the 116th Canadian Infantry Battalion in the right subsection on the east side of the Bethune Road. The front line was held until relieved by the 10th Canadian Battalion and 1st CMR on the 22nd. Moved back to Brigade Reserve and newly reconnoitred accommodation in and around Vimy. Working parties supplied up to the 26th until relieved by the 116th Battalion and moved on to Villers-au-Bois, where they moved in to Suburban Huts on the 27th. Inspections and medical attention to feet given through to the 30th. Relieved the 102nd Canadian Infantry Battalion at Comox Camp on the 1st. Undertook parade and drill practices whilst providing working parties through to the 7th, whereupon the Battalion was involved in building an observation post on Vimy Ridge for use by the King over the next two days. Later on the 9th the Battalion relieved the P.P.C.L.I. in the left sub-section in front of Avion, where they worked for the next week on consolidating the front line trenches and outposts and providing working parties in the forward area at night. Salvage work continued from the 14th/15th, with bomb stores being formed from the salvaged ammunition. Burying parties worked under the direction of Chaplain, Capt. Davis, burying 56 bodies discovered in the vicinity during the tour. Relieved by the 43rd Canadian Infantry Battalion on the night of the 17th/18th, the Battalion moved back to Louave Valley and thence on to Canada Camp in Bois-de-Haie in the late afternoon on the 18th. Training was then undertaken through to the 25th, when the Battalion moved to the Divisional Rest Area, being billeted in Auchel. H.Q. was located in Grande Rue, Auchel. Company parades, inspections, musketry and bombing drill continued through to the 31st. Training continues, with the addition of box respirator drills on the 6th. That evening a one hour route march with respirators on is held, with Major Patterson taking up position en-route near Raimbert Wood, in the dark, lobbing gas shells to test the troops. Those who disobeyed orders, hoping not to be spotted with respirators off in the dark, experience "unhappiness". Training continues and on the half holiday on the 11th, the 5th CMR defeat the 4th CMR in baseball, ending a long series of victories. However, Brigade Sports on the 12th carries less enthusiasm, and the only event won by the 4th CMR is the Officers' relay race. Early on the 15th the Battalion, 31 officers and 987 men, moves off from Auchel and marches 20 kilometres south-east, to billet in Camblain-l'Abbe (north-west of Arras, south-west of Lens). Parades and kit inspections undertaken, and manouevres carried out in conjunction with the 1st CMR made in preparation for the 3rd Division taking over the 1st Division's front near Loos by the 22nd. Moved off on the 19th to Les Brebis (a former hamlet 2km south of Mazingarbe, north-west of Lens), which was targetted with high velocity naval shells. No casualties. Relieved the 5th CMR in the Reserve Area by 2:30am on the 21st. Strength in the line 24 officers, 598 men, with a further 4 officers and 171 men in transport and details. Relief of the 2nd Canadian Infantry Battalion in close support completed into the 22nd. Working parties consolidating and repairing communication trenches and providing wiring parties in the Gap under nominal enemy artillery. Relieved the 5th CMR in the front line on the 25th. Further work carried out to improve the trenches until relieved by the 1st Buffs (East Kent Regiment) and 1st K.S.L.I. (King's Shropshire Light Infantry) in the early hours of the 27th. Moved back to Divisional Reserve at Les Brebis, arriving at 4:00am amidst heavy rain on the 27th. Bauvigny Huts camp area in poor repair. Time spent repairing the camp, training and providing fatigue parties through to the 31st. Training, church parades and fatigue parties continue working on the "very disagreeable hut area". Moved off, with no qualms, back to Winnipeg Camp at Mont. St. Eloy (Mont-Saint-Eloi, Vimy, north-west of Arras), on the 2nd. At 8pm on the 3rd "a German Albatross Scout plane flew amid a violent anti-aircraft bombardment over our camp and dropped a message attached to a streamer". Relieved the 16th West Yorkshire Regiment in Reserve on the 4th in the La Chaudiere area. This and the Brickyards area were shelled with high explosive (H.E.) and gas shells, causing 120 casualties, most of whom did not succumb until the following morning, when vomiting and swellings around the eyes began. The gas had pervaded the dugouts and clothing, and entered their systems, and gradually took hold. Men were being evacuated through the following days as they became seriously ill; this despite having worn their respirators for three hours during the initial shelling. Several men had died by the 5th. The Battalion relieves the 18th Durham Light Infantry in the front line in the vicinity of Vimy on the 6th, amidst enemy shelling. No casualties. Held the front line, supplying working parties, until relieved by the 5th CMR on the night of the 11th. Moved back to Supports and continued supplying working and carrying parties, building and improving the trenches, until relieved by the 21st Canadian Infantry Battalion on the 14th. Still in Supports until relieved by the 49th and 42 Canadian Infantry Battalions on the 17th. Moved out to new billets at Neuville St. Vaast in the early hours of the 18th, before moving on to billets at Cambligneul in the late afternoon. Musters, parades and training continued until the 30th. On the 27th, 8 officers and 12 men attended a demonstration by the Royal Flying Corps. 2 officers and 1 NCO were treated to a flight in one of the aircraft. The Battalion practised manoeuvres over taped courses, with mock attacks with the 1st CMR on Méricourt until the 5th. The Battalion was then placed in quarantine for diphtheria after seven recent cases on the 6th. Chaplain Capt. 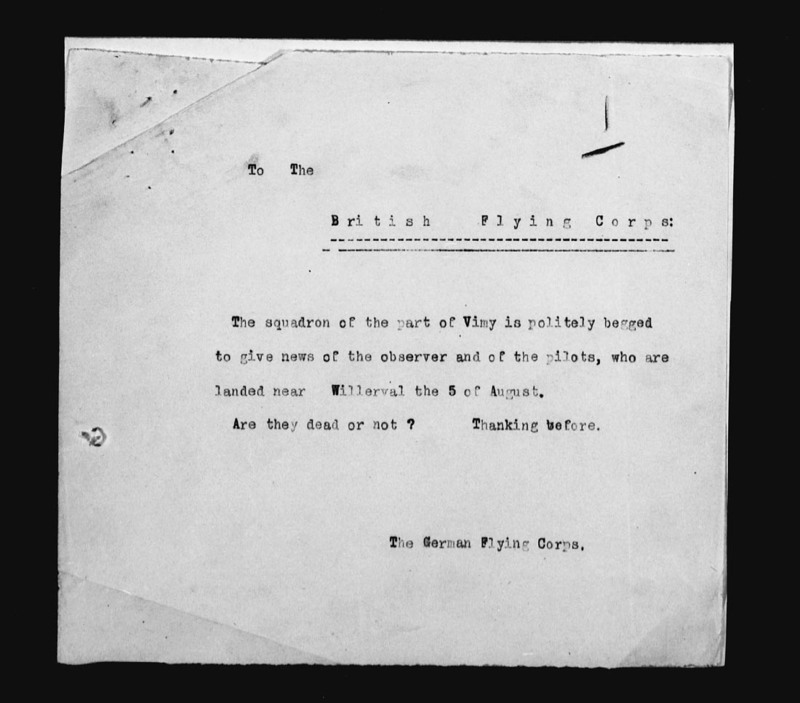 Davis held services by company in billets on the 7th, and on the 10th the Battalion received notice of mobilization under "Somme conditions". The Battalion is strengthened by men back from the 182nd Tunnelling Company and a fresh draft from England. The 11th saw "a delicate situation" arising in the pay of the men due to the quarantine restrictions, which was relieved by card games and "much singing well into the night". Final kit inspections and baths at Caucourt were carried out on the 12th, in preparation for the move to Flanders. Half holiday on the 13th followed by lifting of the quarantine on the 14th. Entrained at Savy on the 15th and via Hazebrouck proceeded to billets in the Koorten Loop area (a railway centre between Cassel and Hazebrouck). The clean rural setting is a relief to many in anticipation of the move to Flanders. Parades and special training in physical drill and section (trench) fighting "to prepare the men for the sort of warfare that is in store" up to the 18th. A route march on the 19th to the sound of the bagpipes. On the 20th the commanding officers are in conference planning a move to Ypres and "the attack" (Passchendaele). On the 21st they left Koorten Loop for Caestre at 1:30am, arriving at 3am and then entrained for Ypres at 7:35am, de-training in the heart of the "fearsome city" 11am. Accommodation was afforded in a tunnel, tents and bivouacs at Wieltje (north-east out of the town, on the road between Sint-Jan and Sint-Juliaan). 3 men were wounded in the 43rd's line by enemy aircraft bombing just at dark. The seething mass of military traffic in the area, often in full view of the enemy, is of specific note in the Diary at this stage. On the 22nd the Battalion moved into reserve at California Trench, on the "St. Julien" Road and then via bathmat tracks and on over the mud to a support position affording a view of Passchendaele Ridge. The Battalion began relieving the 1st CMR in the front line to the west of Passchendaele on the 24th, but didn't complete it until 5am on the 25th. The conditions proved difficult for getting water and rations up, and consequently the men would go into action with virtually no water in their bottles. Assembly for the off was carried out on the night of the 25th/26th, without serious interference from the enemy. The Battalion then engaged in what is now referred to as the 2nd Battle of Passchendaele; an action which raged from October 26th to November 10th, 1917. The 4th CMR's only VC was won by Pte. Thomas Holmes for his deeds on that October 26th (please see the special entry after January 1st to 13th, 1918, for the VC Citation details). A fuller account of the actions in this battle will appear here in due course. I refer you to the 4th CMR War Diaries and S.G. Bennett's 4th CMR Regimental History for the complete picture in the meantime. The figures for the Passchendaele action showed huge casualties: 107 killed, 203 wounded, initially 21 missing. A further 29 Other Ranks were evacuated to hospital suffering from chills and trench foot. The Battalion was held at Capricorn Keep awaiting further orders on the 28th, and then moved on to California Trench on the 29th. They were then relieved by 1st CMR and moved back to Wieltje and on the 30th 1 officer and 75 men formed a stretcher party to carry the wounded from the forward area to the 9th Canadian Field Ambulance during the 5th CMR's own attack at Passchendaele. 2 officers and 100 men were detailed to carry munitions and supplies to the forward area. On the 31st the Battalion moved back to Tay Camp, travelling by train from Ypres to Abeele and thence by route march north of Abeele to Tay Camp. A general clean-up was needed on the 1st after the action. Enemy aircraft bombed the camp locality that night and with a muster on the 2nd, a draft of 3 officers and 100 other ranks arrived. Moved to Shrine Camp, 2km to the West, on the 4th, and leather and fur jerkins were issued to the men on the 5th. Moved forward on the 7th, to Saville Camp, near Sint-Jan, north-east of Ypres despite little recuperation time, to relieve the 116th Battalion, as the need was urgent. Although still in a state of exhaustion, large working parties were turned to heavy labour "at road building and road maintenance under shell-fire and evil conditions of ground". Enemy aircraft continued to buzz the camp, further disheartening the men until a British triplane shot down and enemy aircraft in flames around 11:00am on the 8th. The working parties continued to the 13th, when a sudden order to move out was received at noon. The Battalion was on the march down the Ypres-Poperinghe road towards Camp 30 at 1:40pm. Total casualties during the tour of working parties amounted to 2 killed and 11 wounded. Kit inspections, parades and platoon reorganisations undertaken and baths at the brewery in Poperinghe on the 15th. On the 18th the Battalion moved south to much improved billets and horse standings at Haverskerque and then on the 19th moved south-west to Equin-les-Mines, where few troops had been before and the locals were, therefore, noted as being hospitable. Resting and cleaning up on the 20th, training commenced on the 21st. Leave back to England on the 22nd was granted to 14 men, making a total of 44 men granted leave in the week. It was noted that leave was never so generous as currently granted. Training continued on the 23rd and 24th, when a draft of 8 officers and 168 other ranks arrived to boost the Battalion numbers to 27 officers and 750 other ranks. Training, baseball and football continued to the 30th, with a further draft of men having arrived on the 29th. On the 1st, life in Equin-les-Mines a garrison town proved comfortable and agreeable to all, where it included a special dinner-party given to all officers on the occasion of the Colonel's Birthday. It was noted that this was the first occasion for all of the officers to get together since Etrun a year before, and that of the 50 or so officers present then, only 5 were still with the Regiment for this occasion. The 2nd saw Church parade and the 3rd saw voting for the Canadian General Election amidst initial and then fervent enthusiasm amongst the men. Training continued through to the 17th. On the 12th special mention was made of bravery by Cpl. Edmund "Stephenson" (Stevenson and later to become Sergeant), who leapt into the bomb throwers training pit and threw a grenade out after it was miss-thrown by a fellow, where it had bounced off the parapet and had dropped back to the pit floor. This action saved the lives of at least two soldiers. A list of decorations for actions in the Passchendaele attack on October 26th, was published in the Diary on the 13th. The Battalion moved off to Cantainne, 1km east of Lillers, on the 18th and then on to Fouquereuil, 3km south-west of Bethune, on the 19th. The 20th saw them back at Les Brebis and then on the 21st back into the front line on the Loos - Hill 70 front. With a strength of 25 officers and 595 other ranks, the Battalion relieved companies of the 16th West Yorks and Duke of Wellington regiments. Wiring of the quiet frontage continued through to the 27th, with strong and continuous patrols out deterring enemy attack. On the night of the 27th/28th, the Battalion was relieved by the 2nd CMR, falling back to Supports in Loos, from where they supplied working parties through to the 31st. This year the Battalion saw in Christmas on the front line and New Year in Support with "little else than salutation".